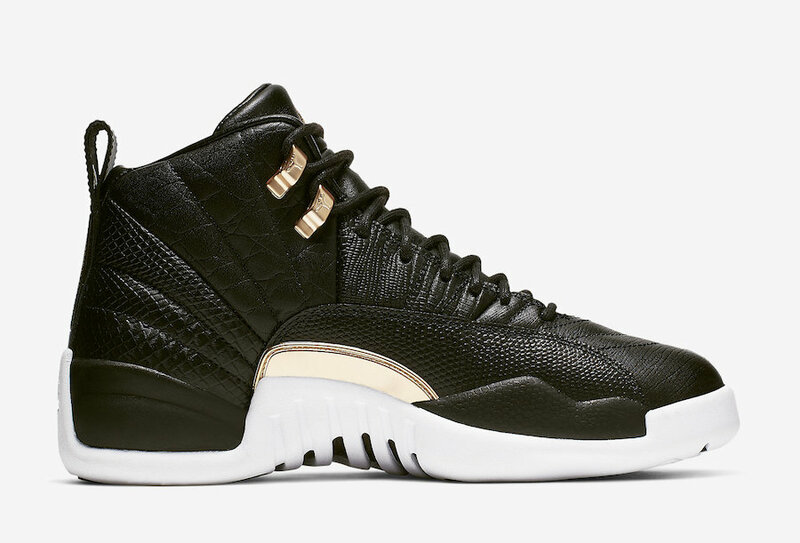 Jordan Brand has released a handful of highly coveted women's Air Jordans over the last few months, many of which would had grown men trying to squeeze their feet into the biggest women's size. 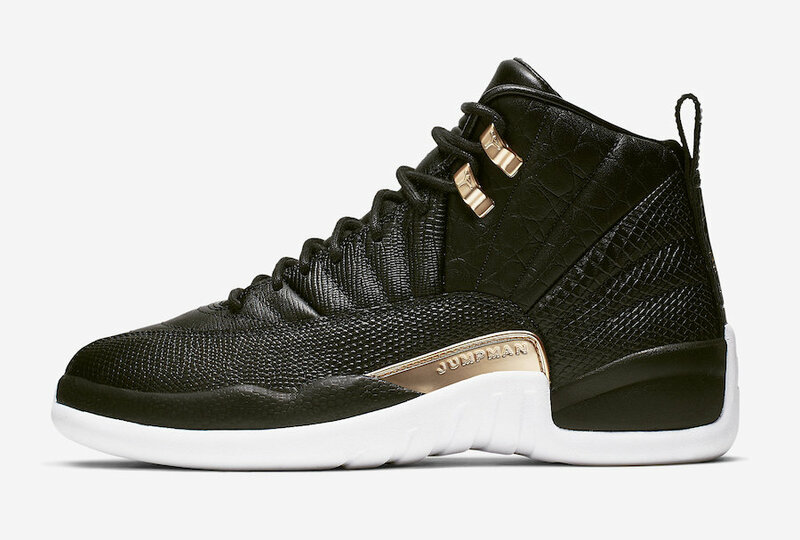 Adding to the ever-growing list of Js that'll have the fellas envious is this upcoming women's Air Jordan 12 that comes equipped with snakeskin and crocodile detailing. 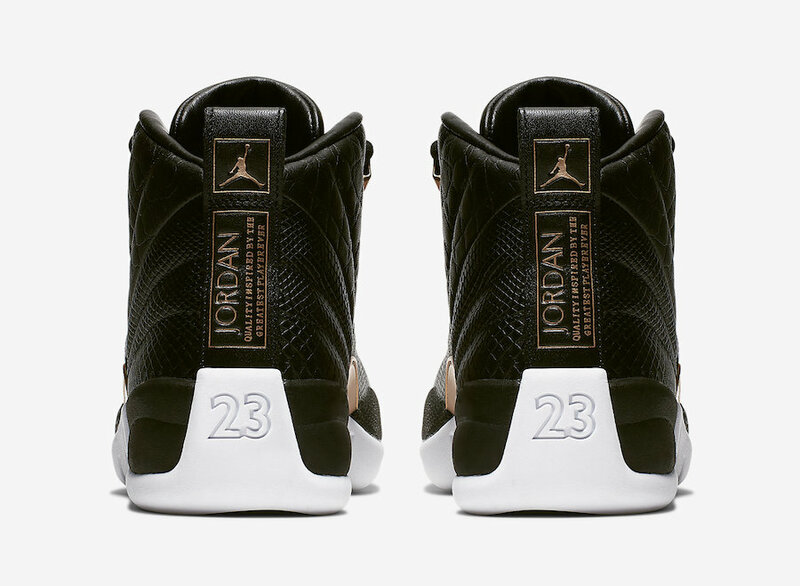 In addition to the reptilian construction, the black leather 12s feature rose gold detailing on the upper eyelets, mudguard tags, Jumpman logos and lettering down the heel. 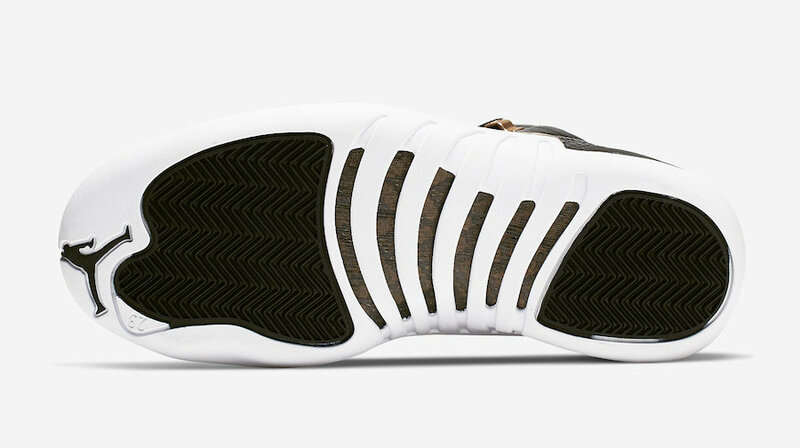 The kicks are grounded by a white rubber outsole, making for one of the cleanest non-OG Air Jordan 12 colorways in recent memory. 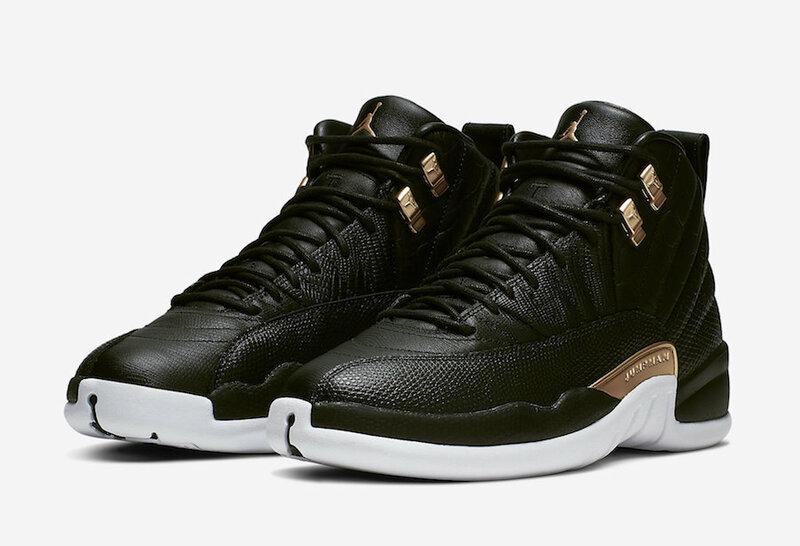 According to J23 App, the women's Air Jordan 12 is slated to hit retailers on April 26 for the retail price of $190. 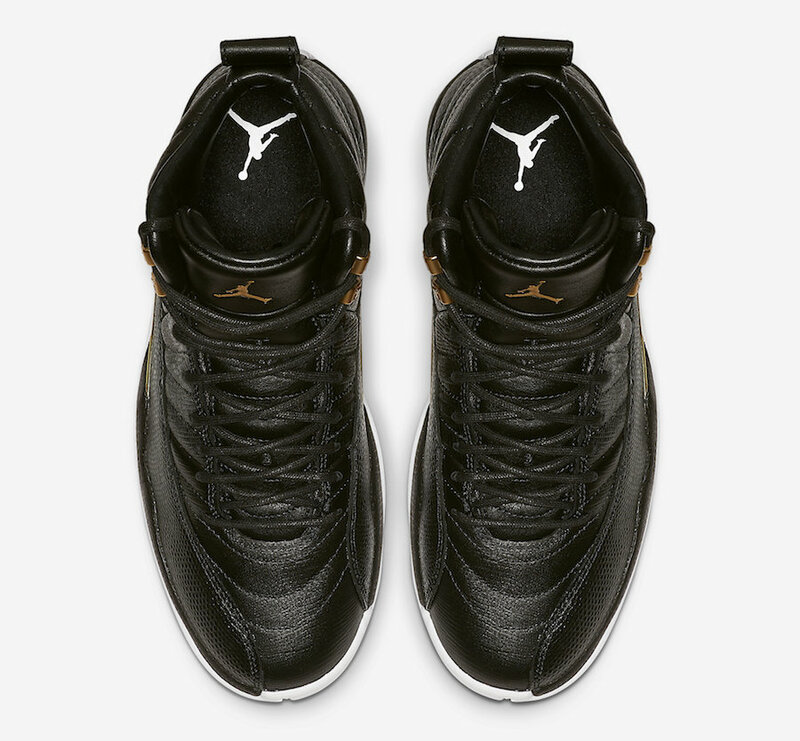 It's still unclear if extended sizes will be available, but it's worth noting that a women's size 12 translates to a men's size 10.5. Scroll down for the official photos, and click here to preview the Top 10 Nike and Air Jordans on tap for April.